Brian Miller figured out that a good general counsel provides solutions that fall between the absolutes of "yes" and "no"
AES general counsel Brian Miller was invited to interview for a position at AES in the spring of 2001. The evening following the interview, he recalls telling his wife, “Not in a million years would I work in-house.” Shortly thereafter, Miller resigned from his litigation position with a New York firm, accepted a position at AES, and moved from Connecticut to Virginia. Within a year, the AES stock price plunged from more than $38 a share to under $1, providing Miller a ripe environment for development. 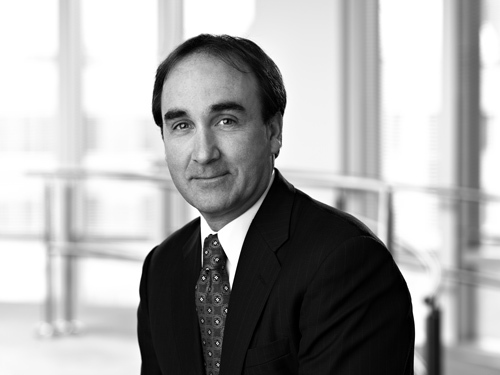 As he reflects on that period of AES’s history, Miller says, “I was in a very difficult place at the right time.” During that time, and in the years since that downturn, AES has provided Miller immense and varied opportunities to grow and expand his legal, business, and industry experience. Here, he shares those insights. You said that when you were hired by AES you were in a “difficult place at the right time.” Can you explain what you mean? Brian Miller: The sudden and numerous problems facing AES allowed me to obtain industry and business experience that I never would have experienced as outside counsel. In fact, within months after I accepted the position, AES faced more than just problems; we faced multiple crises across our global portfolio—dozens of lawsuits, billions of dollars of debt that needed restructuring, reduction in force, sale/bankruptcy of some businesses, restatements, and ultimately a management reorganization. I do not recommend crisis as a preferred means to gain experience, but in my situation, we had minimal in-house legal staff, and therefore I was given the opportunity to play a leadership role with the team responding to the problems. Even more valuable, I was provided opportunities to work directly with all levels of AES people in our businesses around the globe. Through that experience I learned that it was the people of AES, and the core values of AES, that truly make AES a great place to work. How do the values of AES inform your decision making and your role? Values have always been a part of AES. Our values are the foundation for our business decisions and fundamental to how we operate. As we often say, AES’s values are more than just words on paper, because how we provide our goods and services is just as important to us as the goods and services that we provide. Although I strongly support implementing strong processes and procedures, I have always believed that our values and culture provide the key guidance and support for our people to navigate the legal and compliance challenges that result from AES operating under a very broad range of economic, political, social, and cultural customs and traditions, and an equivalent variety of local, regional, and international laws and regulations. How are you involved with AES leadership during the strategic planning process? AES not only encourages but also expects people to work as teams, as strong performing teams provide a true competitive advantage. This team attitude runs throughout AES, including the board of directors and the executive leadership team, what we call the ELT, which is comprised of the CEO, COO, CFO, CIO, and me. We hold regular team meetings to discuss and at times provide approval for many issues, including company strategy, business development, and capital investment decisions. In those meetings, we often include other leaders, such as the SVP of HR, VP of strategy, controller, treasurer, etc. My role is not limited to voicing a yes or no related to regulatory or legal issues. AES lawyers are expected to understand the business and be involved early in the decision-making process, not just at the end to “paper” the deal. AES has provided legal team members, including me, diverse job experiences to gain business knowledge, including serving on several AES boards, such as AES Solar, a joint venture that developed and operated solar businesses; AES Entek, a joint venture developing business in Turkey; and DPL, our utility in Dayton, Ohio. How does sustainability of the business fit within the decision-making process at AES and perhaps even contribute to company growth? Sustainability for us is front and center. We own and operate a diverse portfolio of electricity generation and distribution businesses in twenty countries on five continents. We believe it is our responsibility to work to ensure a sustainable future for our businesses as well as the diverse communities in which we operate—a sustainable social, economic, and environmental future. Our emphasis on sustainability has led us to focus on expanding from our platforms where we have a competitive advantage. And, in recent years, AES also exited markets in which we did not believe we had a competitive advantage. What do you think are the qualities that make a strong general counsel? To be effective as a GC you need to be trusted, with a key requirement for gaining trust being to act with integrity. Of course, that is true whether you are a CEO, coaching youth baseball or hockey, or in any leadership position. A strong GC needs to understand how the company operates and delivers its goods and services. A GC should question what skills the team needs to improve or currently lacks that will be needed for the future. This is particularly relevant now with rapidly changing technology. You also need to act with independence, objectivity, and have an ability to speak up, but at the same time be a team player and have the ability to listen. These are not contradictory attributes. Strong GCs recognize that business and the world in general are not static, black and white, nor 100 percent yes or no. You need to change course as matters dictate. I could talk all day about additional qualities, but the last one I will note is related to our unique AES value to “have fun through work.” People who truly enjoy their work perform better as a team. So, a strong GC needs to enjoy going to work every day and also work to ensure his team enjoys every day. And, if you don’t enjoy going to work every day, then it’s your responsibility to figure out how to change. The issue should not be just obtaining a different title or higher compensation. You need to look at yourself and ask, and also require your team members to question, what would make me or the team more challenged, excited, and satisfied at work? Then you need to work to make the changes. And frankly, if you calculate the amount of time you spend at work, it will compromise a large percentage of your life, and in fact likely dwarf the time you will spend with family and friends, so why not act to find a way to enjoy your work? Do you now find being a general counsel more exciting than being a litigator at a law firm? Yes. Being a litigator was exciting, as it involved problem solving and competition, but as AES’s GC, I am an active member of management helping to execute strategy. I am part of a team that can make a difference, that can help create a sustainable future in many communities, and that is fun. On reflection, I likely wouldn’t trade the AES GC role for another job, except perhaps for the general manager position of the Red Sox, or maybe for becoming a member of Congress, as I would enjoy the challenge of trying to have both sides reach consensus. Both jobs would take a lot of thought, however, before I agreed to change. Do you have any goals within the AES legal team? We’re always looking at what we can do more efficiently, which is consistent with our AES value of striving for excellence. That said, one goal for me is to have everyone on the team strive to experience new aspects of AES’s business which should serve to help them expand their AES career and the enjoyment of their career.